An excellent symbological study by Mike Aquilina. But, he should take into consideration: first, more early Christian symbols, second, to combine in a more successful way the ancient sources with the modern studies he used as bibliography, third, to have more references from these latter, and not only to put them at the end in a catalogue as bibliography. 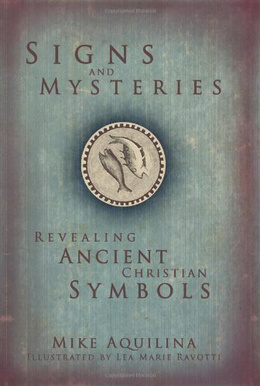 Of course Aquilina gave life to the ancient Christian symbols, with his faith and knowledge, but this book can’t be considered as an innovative and original study. Nevertheless, it is a very artistically beautiful book, with remarcable illustrations, and with a very vivid spirituality, which is inspired by the Divine Word (Logos), aiming at inspiring by the same way the reader.